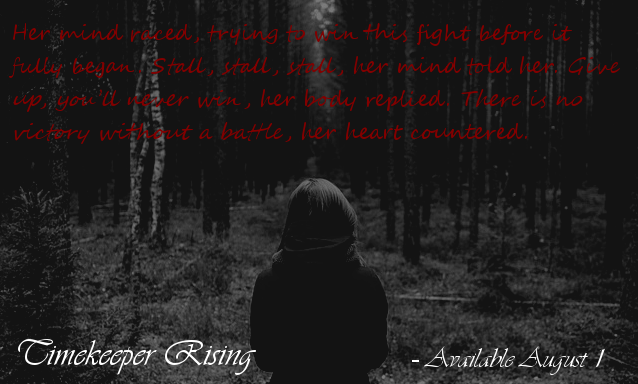 Welcome, Allyssa Painter, to BOD’s author spotlight. 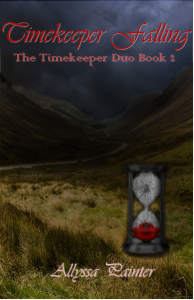 I am pleased to be interviewing you about your two book series, The Timekeeper Duo. Thank you, Carrie. I am excited to be here and to see what questions you have. I see in your bio that you are currently in college, studying to be an elementary school and special education teacher. I have to say this hits close to my heart, as my sister is a teacher. Have you always wanted to be a teacher? No, I haven’t. I always knew I wanted to work with kids, but I went through several ideas before I landed on teaching. For many of my elementary and middle school years, I wanted to be various types of pediatric doctors. I also briefly considered social work, and still think I would do well with it if I didn’t teach. When I hit high school, I knew I didn’t want to be any type of doctor, and that I wanted to work with special needs kids. For a year or two, I wanted to be an Applied Behavior Analysis therapist for children with special needs, especially those with autism. Then I finally realized I wanted to teach somewhere around the end of my sophomore year or the beginning of my junior year. Now I am glad I chose it. Teaching is my passion and always has been. I just hadn’t really noticed it. ​Your book focuses on a time after the near destruction of Earth at the hands of humans. Did you have to do a lot of research to get facts to use in how this might come about? Yes and no. I knew it was a possibility the way I wrote it because of the environmental issues we have had in the last few decades. I grew up hearing a lot about it in school so the idea wasn’t that far-fetched in my head. Where the research came in was when I actually got into details, like exactly what Pittsburgh would look like fiftyish years after the rain stopped (seen in the second book). As twisted as this sounds, I had to research what the acid would do to bodies left over and what would be left by the time Sage and Iris arrived there, as well as what the city would look like. It wasn’t as easy as it sounds either, because when you research the effects of acid on the body, you get acid drugs like LSD. So it took some digging and consulting with family members who know more than me about earth science and medicine and such to figure it all out. The concept of a Timekeeper, angels (both those who have fallen and those who have not), demons, pacifists, and extremists is a very complex collection. How did you decide what types of characteristics were needed to tell your story? This is kind of a hard question to answer because I don’t write like most other authors. I do not write an outline and say, “Okay, this happens, then this, then we meet her, etc.” I am one of those authors who just sits down and writes whatever comes to my head. I write a lot of it in my head before I start, and every now and then I’ll go against the natural flow of the story and say, “I think I need to have this,” but for the most part, the story just writes itself and I transcribe it. So I didn’t decide that I needed all these diverse groups. They just appeared in the story. The only thing I really planned at all was the Timekeeper and the Shunned, which came from a discussion with my high school sociology class. One day while we were waiting on the bell to ring, we had a short discussion about what it would be like to know exactly when you will die and how each of your decisions affected that, and whether it would be a good thing. It got me thinking, and it led to this series. To pull this off, I knew I needed an evil group that led to everyone knowing everything (the Shunned), and someone who wanted to change it (Iris) as well as the person who controlled time before the Shunned (the Timekeeper). So I did kind of decide on those. But even after I did, they took on a life of their own. The main character, Iris, is a Timekeeper with special powers, which she uses in her quest to end the tyranny of the Shunned. While she has a very specific and rare parentage that she inherited her powers from, do you feel that average humans have the potential to possess something within them that could give them an edge in certain situations? Yes and no. In the book, the average human could also have powers. It was simply rarer. Plus, there was a short time a year when everyone got to have powers. In real life, though, I think we know there’s probably not going to be people who can heal others, bend time, control the earth or water, or see the future. I do, however, believe that everyone has specific talents or characteristics that make them thrive in different situations. For example, my husband is great with people. He handles them so well. I, on the other hand, hate social interaction and tend to hide behind him. This makes him well equipped to handle a situation where a lot of people get out of control or something, maybe even a hostage situation. I could never do that. But I have other talents he does not. I think we all have something that can give us an edge in specific situations, and I think it is different for each of us. 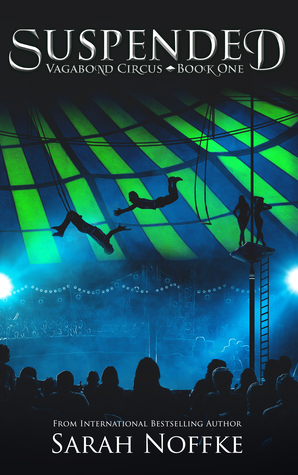 I just don’t think any of us can fly or do something else superhuman. Iris and her team are often found in battle with those who want to keep them from their desired result. You did a great job of describing the fight scenes. Do you have any training in any sort of combat (martial arts, self-defense, etc.)? Thank you. Not really, no, but I do read a lot of fantasy books with fight scenes, and I have several military family members who occasionally describe fight scenes to me. Mainly, though, I just pictured it all in my head and thought about what it would look like. If I had questions, I’d ask my husband, who is in the Navy and has several brothers who are very good in martial arts and self-defense. I also occasionally had help from a good friend of mine and fellow author, Jennifer Anne Davis. 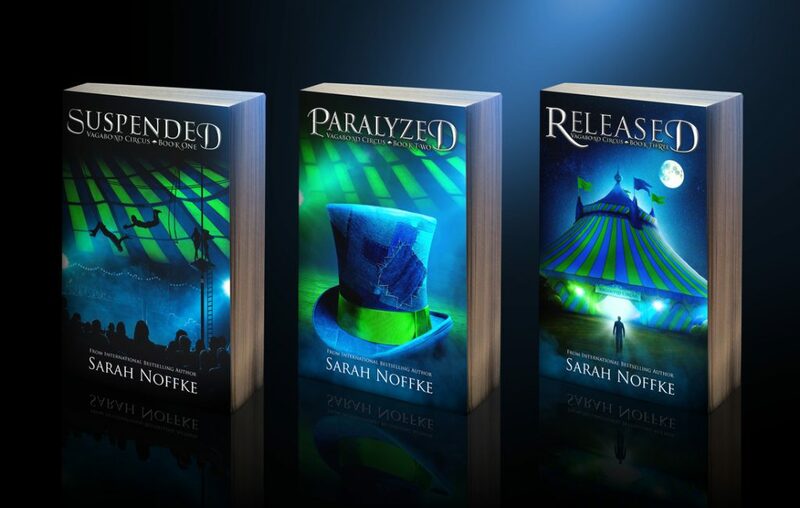 She is also a YA author who writes a lot of fantasy with fight scenes, and her kids are in martial arts, so through reading her books, discussing her kids’ competitions and her fight scenes, and occasionally asking about a specific technique, I was able to gain more information to make them seem more realistic. ​ Do you find you identify with the main character, Iris, or do you feel you connect more with another character in your story? I feel that every writer pours a little bit of themselves into each character. I don’t identify with any one character more than another, because I am like each of them in different ways. I definitely identify with Iris’s stubbornness, though. Ask anyone to describe me and I guarantee you’ll hear that word. Sara is very loyal, especially to Iris, because Iris is her family, and I would like to think that is something that is very similar to me. Sage is steadfast. He has his morals and his own thoughts, and he follows them no matter what, even if others don’t agree with them. In some ways, I am like that, though I do often wish I were more like him in that department. Zander is protective over his family, and Cassian is a good friend. Guinevere is judgmental and not all that friendly when it comes to people she feels are a threat, and unfortunately, I believe I am like that too. All of my character’s either have a piece of me, or a piece of a person I admire and wish I could be more like. I wish I could be more easygoing, like Silas, or open and childlike, like Delilah. So no, I don’t think I identify the most with Iris, but I do identify with her, as I do all the other characters. Now that you’ve put out this series, what is your next project? Realistically? To graduate. Haha. But as far as writing is concerned, I am working on a new series (I think it’s going to be a trilogy). It is a YA fantasy series (not quite dystopian, though there are dystopian themes, sorry guys.) I can’t tell you much about it yet, because I have no idea when it will be finished or if I will self-publish it or try to publish it traditionally. I am set to graduate in December, so this year is very hard and very big for me in my real-life, so I am focusing more on it than I am on writing. Don’t worry, though. I am writing and hope to have more news for you about this series sometime later this year. So keep checking for that. For now, I can tell you that I am about 2/3 through the first book of the series, and that the series is tentatively titled, The Valtina Chronicles. I can’t wait until I can share more with you. 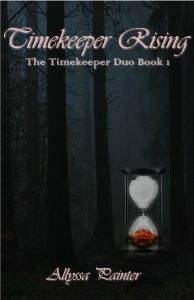 I am so pleased to have gotten the chance to interview you, and can’t wait for the BOD family to dive into your world within the pages of The Timekeeper Duo. Aww, thank you so much! It was a pleasure to speak with you today and I look forward to doing it again soon! 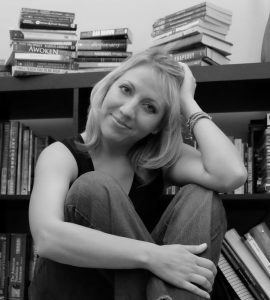 Allyssa Painter is the author of the Timekeeper Duo. She graduated from Sissonville High School and attends Concord University for elementary and special education. She dreams of becoming an elementary teacher and continuing to touch the world around her through the novels she writes. 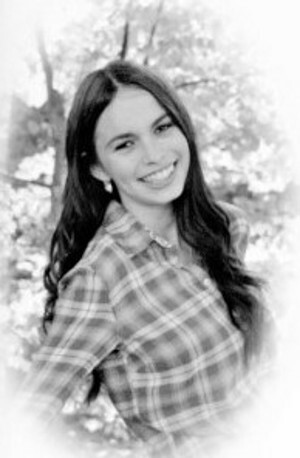 In her free time, she enjoys reading fantastical adventures, spending time with her family, and capturing the world around her in photography and writing.